What Happened to Christ’s Church? “He that hath eternal life is rich” (D&C 6:7). Priscilla’s grandparents lived in a beautiful home in Liverpool, England. Though Priscilla was the fourth of nine children and had many cousins, Grandfather and Grandmother Mitchell made her feel like their favorite person in the entire world. She loved to be in their home, and they were always buying gifts for her. Then, one day, everything changed. Missionaries from America taught her family the gospel, and her parents were baptized. Priscilla and her brothers and sisters planned to be baptized too. When Grandfather found out, he was angry. At home, the stunned family gathered around the fireplace. Father had never looked so sad. Mother hadn’t stopped crying since they had left their grandparents’ home. Priscilla was confused and heartbroken. “Why don’t Grandmother and Grandfather love us anymore?” she cried. A knock sounded at the door. Priscilla’s heart leaped with hope, but it wasn’t her grandparents. Uncle George and Aunt Hannah stood on the porch with gifts and a basket of food. Priscilla was happy to see them, but all too soon she was sent outside so they could talk to her parents. It sounded serious. “Priscilla,” Aunt Hannah finally called. “How would you like to come live with us?” They had no children and wanted to adopt her, Uncle George explained. There would be plenty of room for her in their mansion, and she could receive better schooling. “It will leave more of the basics for your brothers and sisters too,” Aunt Hannah added. Priscilla knew that it was a struggle for her parents to feed and clothe all nine of their children. If she went, it would make things easier for her family. Father gazed sadly at the floor. Mother sobbed into her handkerchief. The offer was kind, but accepting it would not be easy. Priscilla packed her bags and bid her family farewell. “This will be your bedroom,” Aunt Hannah said. Priscilla had always shared a room with her four sisters. Now she had a room of her own and a maid to clean it. Aunt Hannah took her shopping to buy pretty dresses. In no time, the closet was full of them. Her aunt and uncle planned parties so Priscilla could meet new friends. Priscilla had many advantages, but she missed being with her family and listening to Father teach as they sat around the fireplace. On the morning of her 10th birthday, Priscilla was making dancing dolls out of hollyhock blooms in the garden. She was excited for the party to be held that afternoon, but she wished her sisters could come. Suddenly, she spotted a tall, thin man coming up the road with a walking stick. Priscilla ran to meet him. “Happy birthday, Princess Priscilla,” Father said. He swept her into his arms and swung her around. “Oh, Father, you remembered!” she exclaimed. Together they walked inside. Father pulled a letter from his pocket. “Priscilla, Uncle George and Aunt Hannah have requested to officially adopt you.” Priscilla knew what that meant﻿—she would inherit great wealth and a respected name. She would never need to worry about money again. “Will you ever come back?” Priscilla asked. And that is exactly what she did. 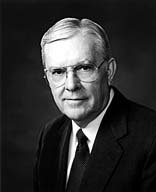 Elder M. Russell Ballard of the Quorum of the Twelve Apostles, “The Law of Sacrifice,” Liahona, Mar. 2002, 12; Ensign, Oct. 1998, 7. Susan B. Mitchell is a member of the West Bountiful Third Ward, West Bountiful Utah Stake.